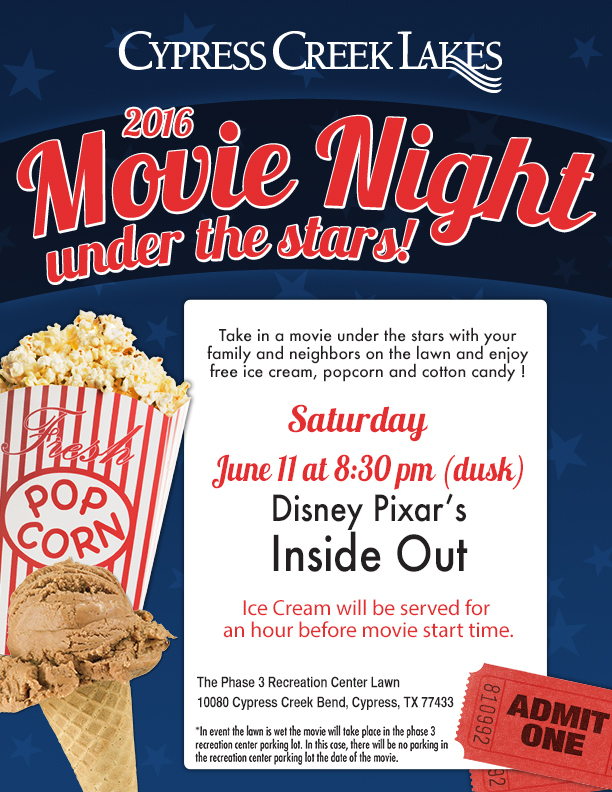 Enjoy a free night of family fun at the Cypress Creek Lakes Movie Night Under the Stars. The event will be held on Saturday, June 11, 2016 at the Cypress Creek Lakes Phase 3 Recreation Center. Disney Pixar's Inside Out will be the featured film. Free ice cream will be served starting at 7:30, one hour before the dusk start. There will also be free popcorn and cotton candy. Bring your lawn chairs and blankets and join us for the fun!